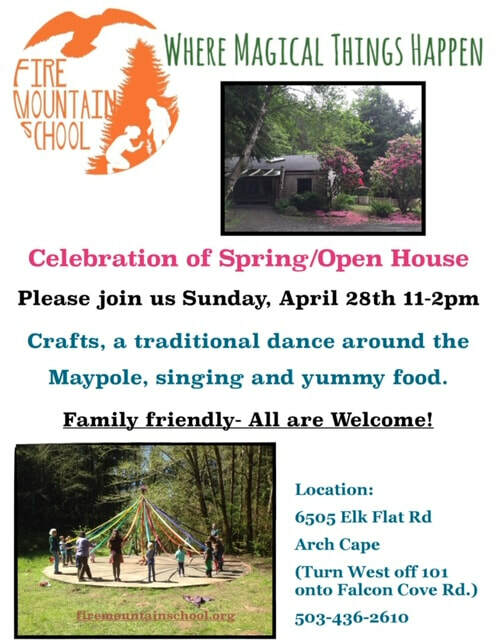 ​JOIN US TO CELEBRATE SPRING Sunday April 28, 11-2. Family Friendly--Stop by, meet our teachers, students and families, and explore our Forest Campus. Contacts us at firemountainschool@gmail.com​ for more info. We've Just wrapped up another Awesome Spring Break Art and Nature Camp, and are looking forward to our 3 Summer Camps--one each month. ENROLL NOW FOR A WEEK (OR ALL 3!) OF NATURE INSPIRED ART AND FUN IN THE OUTDOORS. CONTACT mianeahkahnie@gmail.com for dates and details and to Enroll. Your child will Thrive! Campers should be 5+. 9am-3pm daily, $200/$175 sibling rate. Aftercare available 3-5 @$5 per hour/camper. 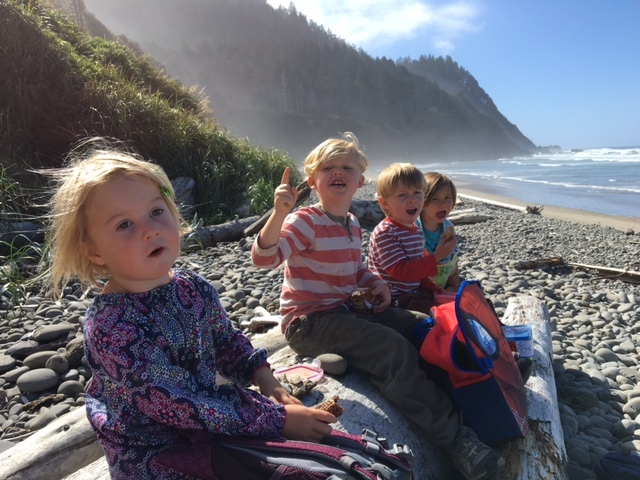 Fire Mountain School, located on the North Oregon Coast, is an independent alternative preschool and elementary school. Drawing from such styles as Montessori, Waldorf, Reggio Emilia and Outdoor education, Fire Mountain is dedicated to assisting children in their ongoing work of exploring and making sense of the world. 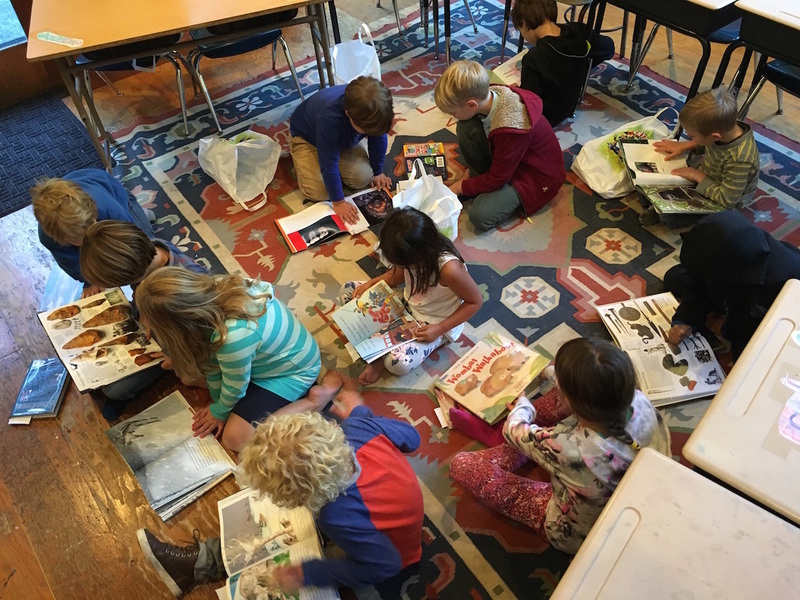 Since 1983, teachers and parents have joined together to create a community structure within which children experience discovery, challenge, experimentation, risk, failure and mastery.